It was not a fix. I know, I know, I know. 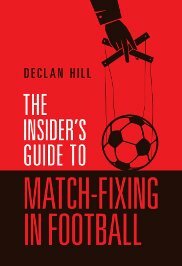 My inbox has been full of people inquiring about match-fixing: but watching Brazil being dismantled by a wonderful German team there was no corruption, no conspiracy, no manipulation in the background by Asian fixers. Germany beat Brazil because they were a better team. I do not mean strategically. I do not mean that Low out-coached Scolari (although I believe he did). I mean the German players were, for the most part, better than the Brazilians. Again I do not mean that the Germans were better athletes – faster runners, better stamina, stronger physique. I mean that most of these German players are technically better then the Brazilian players. Who would you rather have as a goalkeeper: the good Júlio César or the excellent Manuel Neuer? You could go through the entire team and do a similar exercise: Fred vs. Klose, Philip Lahm, Khedira, Ozil vs. Dante, Willian, da Silva. It doesn’t work for every player but most of the time you would choose the German player over his Brazilian counterpart. The touch of the German players was often better; they took one touch to control the ball: where some of the Brazilians were taking two. This is not to say that the Brazilians are not good players, it is that they no longer have that technical superiority made the rest of the world stand in awe. For the last sixty years, there have been a series of extraordinary Brazilian teams and players. In 2002, the Brazilians had the geniuses of Ronaldo, Ronaldinho, Rivaldo against a German team that was transitioning between the solid Teutonic style of their teams in the 1990s to this fashionable, chic and very good squad of players. What happened in the Belo Horizonte Stadium was a tribute to German coaching and technical ability at country-wide level. They have completely retrained their players to play in a different style. It was the end of an era – the tournament began with the death of the Spanish tika-taka style. The tournament is ending with the death of the myth of the invincible Brazilian technique. Second, we have now entered the era when surprises such as this are automatically assumed by many peope to have been a fix. This is very dangerous for the future of football. Mutschke assembled a team of 13 experts to vet games to make sure that nothing suspicious occurred. These in-play experts joined the Early Warning System (EWS) – a FIFA-linked company that monitors the gambling markets for any unusual patterns that may indicate a fixed match. However, Mutschke and FIFA have declared that there was nothing odd about any of the games and there was no evidence from the gambling market that a fix had occurred. The question remains – how do you tell if a game has been fixed? Even experts cannot tell with certainty from the performance of the athletes if a player is simply making a mistake or has been bribed. Bruce Grobbelaar was the star goalkeeper of the English Premier League teams Liverpool and Southampton in the 1990s. He was arrested for match-fixing. His high-profile trial featured different expert witness of former players testifying for both sides that he was either innocent or guilty based on Grobbelaar’s play on the field. This legal stand-off is not exceptional. In judicial cases around the world from Hong Kong to Singapore to the Czech Republic, judges have struggled to understand if an athlete was fixing from their performance in the stadium. This uncertainty around judging the performance of the players has given way to monitoring the large international sports gambling market to see if there are any suspicious patterns in the odds movements that may indicate a fixed match. The key to understanding the sports gambling market is in Asia. This World Cup, Asia is a continent of sports insomniacs. The games are played in the middle of the night which means millions of exhausted soccer fans go through their day after sleepless nights watching the soccer games from Brazil. The airwaves are full of yawning radio DJs and the roads tired taxi drivers. There are even special noon editions of the newspapers to report the scores of the World Cup games, some played at dawn Asian time. At two a.m., the LiveWire studio in the massive Marina Bay Sands Casino – the half-Stonehenge, half-airport terminal-like complex that dwarves the centre of this city state – is filled with hundreds of legal bettors watching the games. There is a friendly, informal atmosphere. Men and women sit around tables with thermos pots of tea and sandwiches. Many of them hold betting slips. This is the smiling face of the regulated sports gambling market. The LiveWire studio is one of the few places in Singapore, indeed all of Asia, where bettors can legally gamble on sports. The action here is dwarfed by the illegal sports gambling market. Because so much of it is unregulated, estimates vary on its total size. The World Lottery Association estimates it to be $93 billion: the European private bookmakers claim it to be $323 billion and Interpol, the International police agency thinks it is over $500 billion. What experts can agree on is that most of the action in the unregulated sports gambling market happens in Asia and that interest spikes during the World Cup. In China, according to the Chinese Sports Lottery, the legal market for this year’s tournament is 4 billion Yuan, nearly twice what was bet on the World Cup in 2010. To fight against the illegal gambling market there have been arrests across the continent. In June, Singaporean police arrested fifteen people with a betting network estimated to be worth at least $800,000. In Macau, 22 people were arrested and there the illegal gambling network was estimated to $5 billion Hong Kong ($750 million US). Just one bet at the Macau illegal gambling syndicate was worth HK$40 million or ($5 million US). There have been fixing scandals across the region. On July 1st, a Singaporean journalist was found guilty of bribing referees in an international soccer game with high-priced prostitutes. In June, English police secured convictions of two Singaporeans who boasted about fixing in English soccer. They said they could buy a game in the lower English leagues for about $110,000. Midnight – at the sports trading desk of the Hong Kong Jockey Club. The USA vs. Germany game is on the television. Dozens of bookmakers – or traders – work here. Each of them has four computer screens in front of them, with a vast array of gambling information flowing across them. One small graph shows the time and amount of each bet coming into their books: every few seconds, another bet, ranging from the low hundreds to thousands of dollars, is registered. There is little noise. The atmosphere is more chess match, than poker tournament. In the near silence, Patrick Jay heads up the trading group. A tall, well-educated Englishman, he motivates his group with an urbane mix of charm and tough intelligence. The numbers support him. Last year, the Hong Kong Jockey Club made billions of dollars in profit. Much of this money went in charitable donations to the community, including the financing of homeless shelters and university research programs. Jay is a world-renowned expert in the sports gambling world and both Interpol and FIFA consult with his opinion on the gambling market. However, even his team struggles to find consistent patterns in the World Cup gambling market – the volume of cash is so large. On a normal soccer game in a lower league, unusual amounts that indicate a fix can show up relatively quickly. Benjamin Phillips is a senior manager at the Jockey Club. He has worked in the industry for over-fourteen years. There has only been one openly announced case of suspected fixing in the World Cup based on numbers in the gambling market. During the 1998 tournament in France, a furious Mike Saunders, a senior executive of Victor Chandler, a large British bookmaker, announced to the UK press that he was convinced that there had been a fixed match in the World Cup. Since then the gambling market has grown larger. Karl Dhont, a betting expert with UEFA, estimates the gambling sports market on each of the games at the World Cup to be somewhere between two and three billion dollars. The value of the games fluctuate depending on the teams playing and the time of day. In total, the gambling market for the entire World Cup tournament is conservatively estimated at one-hundred billion dollars. In comparison, FIFA estimates that all the television rights and commercial syndication of the World Cup at approximately four-billion dollars. When contacted the head of FIFA’s EWS Detlev Zenglein refused to comment about their operations referring all questions about the gambling in the World Cup to FIFA itself. However, his company has beefed up during the tournament by sub-contracting SportsRadar – another gambling monitoring company – to try to ensure comprehensive coverage of the market. 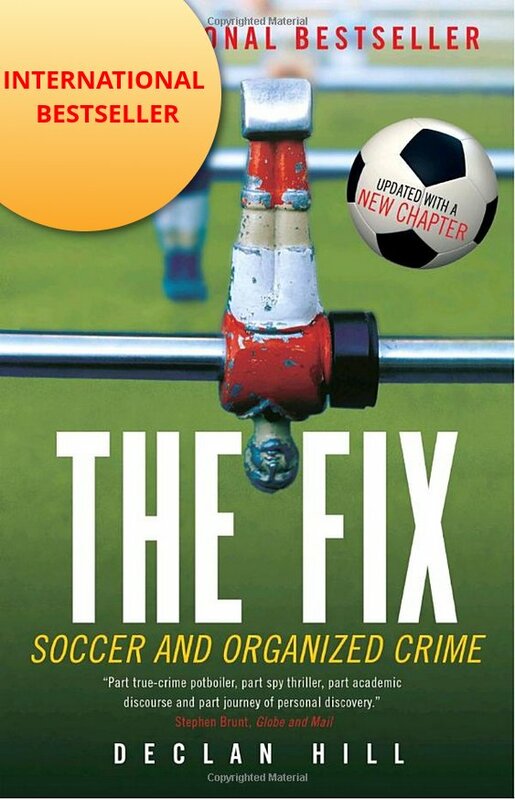 However, two investigators who have been immensely effective in stopping match-fixers in international soccer do not believe that monitoring the gambling market is particularly effective at stopping the threat to the integrity of soccer or the World Cup. Last year, Althans announced, with his Europol colleagues, that their investigations had discovered hundreds of fixed matches in international soccer, including World Cup qualifying matches. He points out that none of the fixers were caught by studying the gambling market. As for the World Cup, the monitoring system of the gambling market are, he said, “without any measurable value”. « Tales of Cameroon Fixing, ISIL vs. The Sunni Tribes and Who is Wilson Raj Perumal?